Experience a quiet getaway in the heart of the Island. 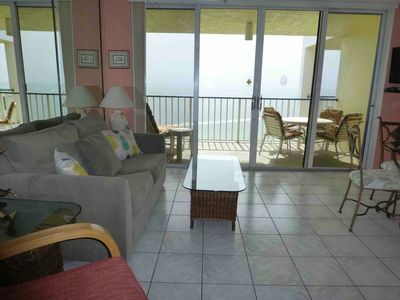 This 1,000 square foot, 2nd floor condo sleeps four, with one queen bed, two twins and 2.5 bathrooms. Pass through the peaceful garden filled with lush greenery and colorful palms and enter the spacious, white-tiled interior brightened by natural light through French windows. The light hues and nautical blue and white striped sofa create a feeling of seaside tranquility. 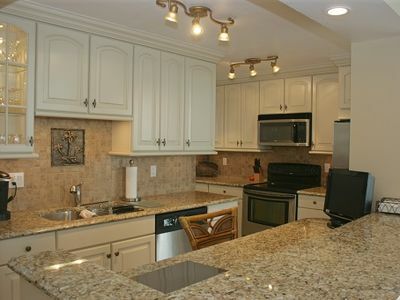 The gourmet kitchen features a recessed ceiling, granite countertops and modern appliances and cookware, including a coffee and cappuccino maker. 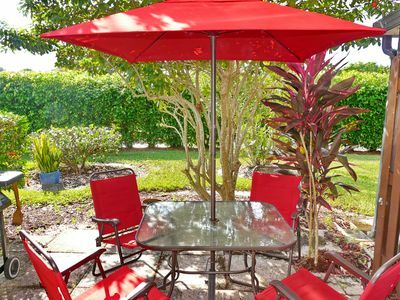 The glass dining room table overlooking the garden makes the perfect setting for a barbeque lunch you cook up on the gas grill out on the patio. 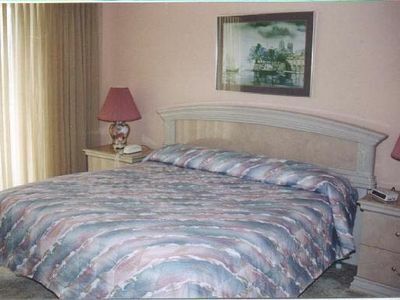 The second floor bedrooms are decorated with floral fabrics and beach-themed artwork. Open the windows and fall asleep to the sounds of wind through the palm trees and the fragrant smell of tropical flowers in the garden. 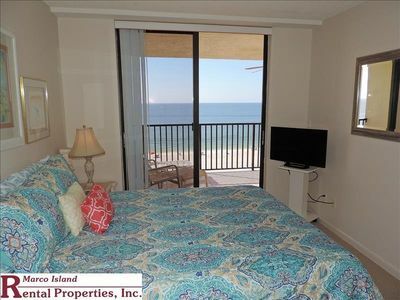 Both bedrooms offer ample closet and drawer space and come with private bathrooms. 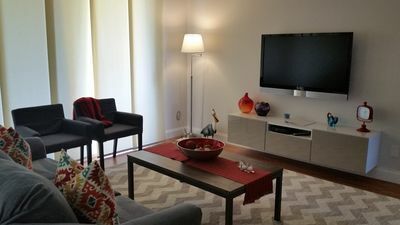 The unit is filled with everything you need for your comfort and convenience, including air conditioning and heating, a washer and dryer, internet, cable and a big screen TV in the living room. You’ve also got everything you need for the beach, like beach chairs, an umbrella and a cooler. 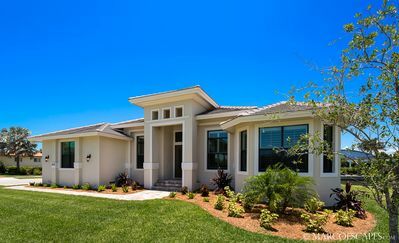 The San Marco Villas offer plenty of amenities a few steps from your front door. 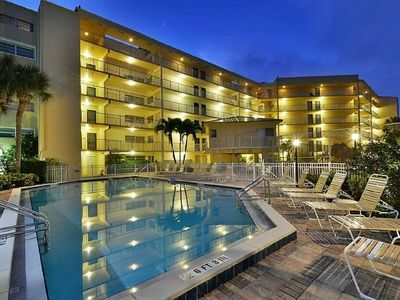 Take a refreshing swim in the heated pool then luxuriate in the hot tub. A short walk from your unit takes you to Mackle Park and its covered basketball courts, volleyball, shuffleboard, tetherball and a soccer field. For the younger kids, there’s a waterpark and an enormous jungle gym in a pirate ship-themed playground. Inside the community center, you’ll find two billiards tables, ping-pong and foosball and a large gymnastics area. There’s even a lake where you can take out kayaks and canoes. 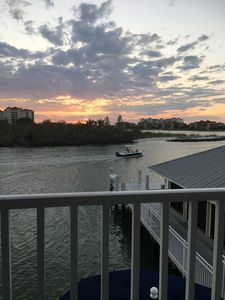 You’re located right in the heart of the island, just a short drive from the world-class beaches of Paradise Coast and some of Marco Island’s favorite restaurants, like NeNe’s, Doreen’s, Joey’s Pizza or Fin Bistro. 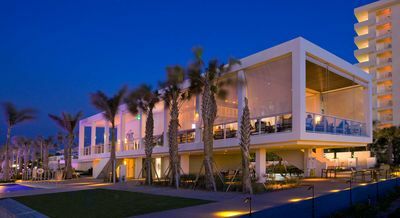 Another short drive takes you to Marco Island’s premier shopping destination, Marco Walk Plaza. 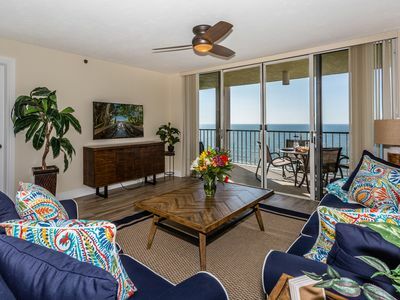 So come enjoy the peace and quiet of your own private condo and garden just a short drive from the beaches and activities that make Marco Island famous. 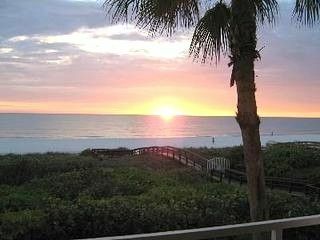 At Marco Island Vacation Properties, we’re proud to be members of the local community. We’re family owned and operated, and we’ve been introducing visitors to this wonderland since 1989. 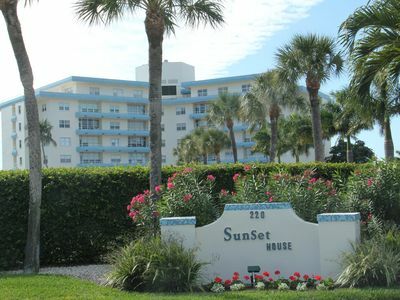 We specialize in seasonal and annual rentals. We don’t just hand you the keys and say, “Enjoy your stay.” We’re available around the clock to answer any and all questions, from “How to I access the Wi-Fi?” to “Where do we go to get the best ice cream?” We have a full team eager to help. We give you maintenance and housekeeping support, babysitting and grocery shopping services and much more. To make sure your stay goes smoothly, we recently developed a proprietary app that’s like having your own personal tour guide. It gives you all the information you need to know, before, during and after your stay: Arrival tips. Directions to the property. 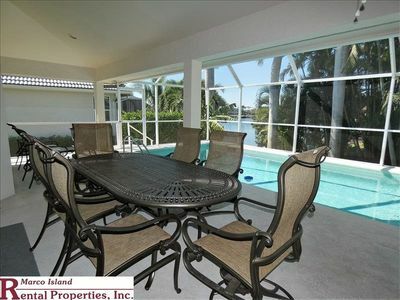 Tips on how to best enjoy all the amenities the property has to offer. If you get lost, the app helps you locate your rental property using your phone’s GPS. It also maps out restaurants, special attractions and everywhere else you want to go. 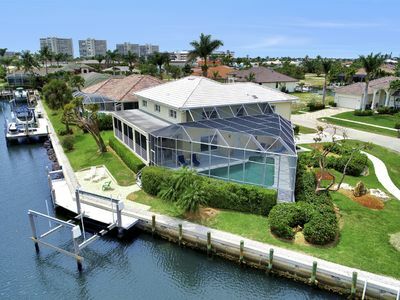 As you look over this property and go about planning your Marco Island getaway, please feel free to contact us with any questions. 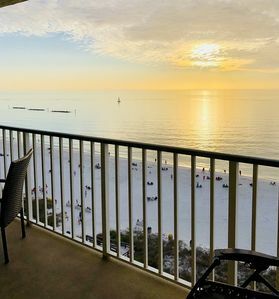 We’ll do everything we can to make sure your time in Marco Island is the time of your life. 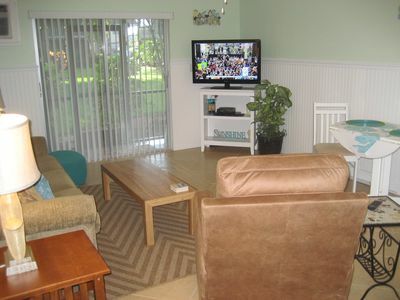 Centrally Located & Walking Distance To Beach. WIRELESS WI-FI INCLUDED! 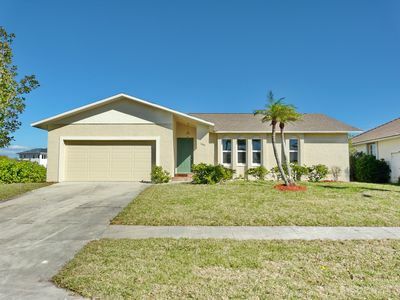 Beautiful 3 Bed, 2 Bath home on Price Ct. with a water view. 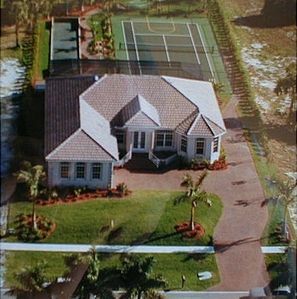 Only 6/10 of a mile to Tigertail Beach from this house. 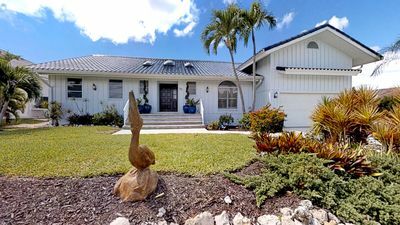 (4 Bedroom + Loft) Waterfront property perfect for your next island getaway!